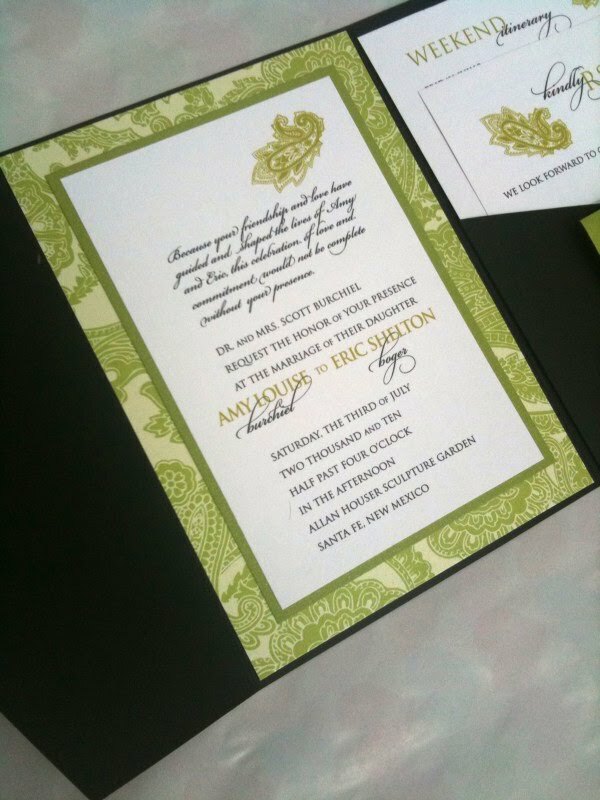 These invitations we such a joy to work on. 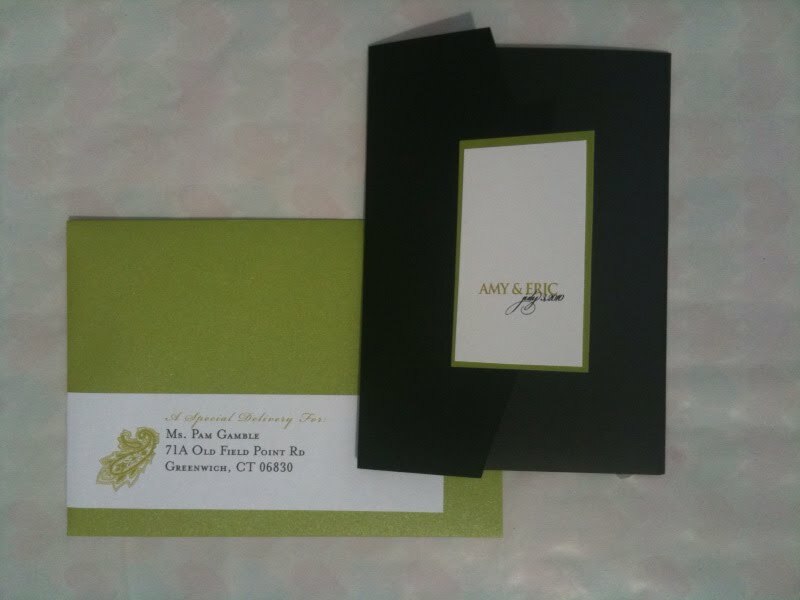 Amy did a fabulous job choosing colors and a pattern to match her sophisticated affair. We matched up Black Linen and Wicked Green. They turned out just stunning and I'm sure when her guests receive them, they will really be looking forward to her elegant affair. Ohhh so pretty! 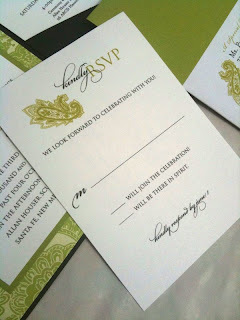 Sophisticated is the right word! Gorgeous! I would be interested in knowing how much a custom order would be. Please follow & Comment my blog back? 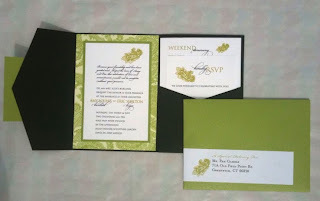 Pretty...I love that shade of green. I have a skirt on that's the same color! LOL!